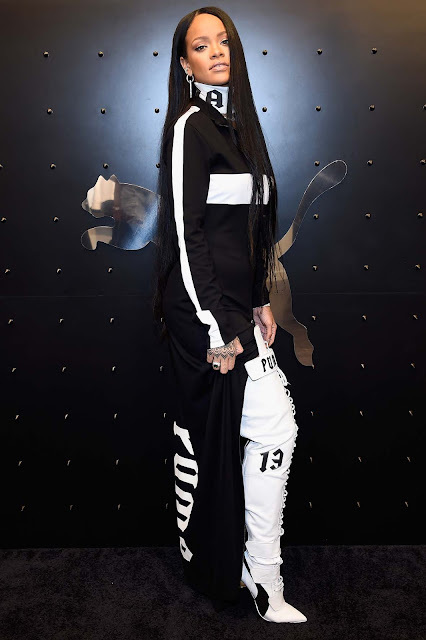 Finally, the wait is over as Rihanna’s inaugural FENTY PUMA by Rihanna apparel, footwear and accessories collection is unveiled. No one can forget Rihanna’s debut of this collection last February in New York. Each look was daring, provocative and oozing with attitude and now, it’s available for the world. 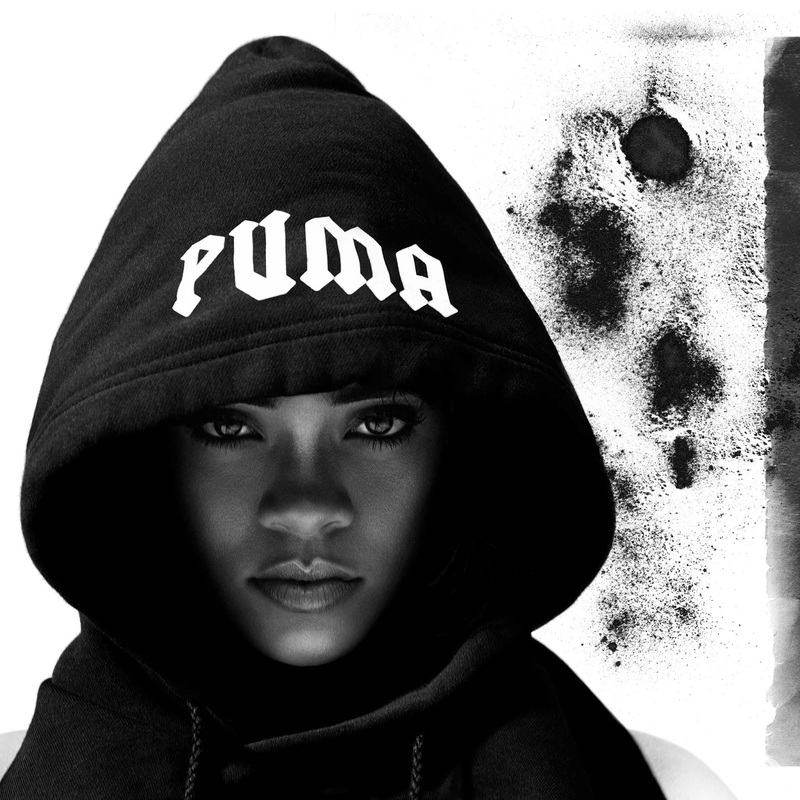 Rihanna drew inspiration from contemporary Japanese street culture and tradition for her debut collection with PUMA. Mixing cultural influences with gothic overtones and exaggerated volumes and proportions, the fashion icon challenged the traditional male and female silhouettes and blurred the lines between genders that are often times too rigid for her fashion tastes. Key styles include the ground sweeping Mock Neck Maxi Dress and popular Rising Sun Lacing Sweatshirt and Sweatpant. The Tear Away Track Jacket and Pant, Bra and Lace-up skirt will also be making its mark in stores serving the fashion hungry and function needy. Every inch of her personality is depicted in every element of the range, and definitely not to be worn by the faint hearted. New introductions will follow in November, including the original and new FENTY PUMA Creepers, her show-stomping Sneaker Heels and key accessories like the Mesh and Bandana Cap and signature Lace Up Backpack. The first drop from the collection will be available in local stores from 6 October at PUMA Select Bree Street, Cape Town and Braamfontein, Johannesburg.